Google map direction is generally precise and accurate. Since its inception in 2005, Google is working on the map to make it more and more useful on the web as well as on mobile. In fact, with the help of Google Map, traveling down the countryside, up hills, and remote locations are now easier. The app has plenty of hidden features, options, and tools, you might not even come across unless you handle it. Moreover, Google Map comes with fully loaded features on most phones, which makes it easier to use. So, if you are planning a road trip with your friends or family, try Google Map direction for a perfect route map. Look up for your destination, click on the direction arrows to visit the nearby places, find out the best locations surrounding your destination, and much more. There may be a few times when your phone does not have a data connection. For such unforeseen situations, having the map handy really helps. 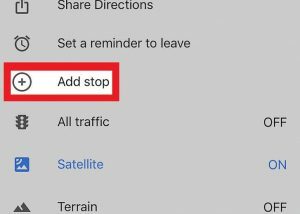 You can also guard against slow loading times by caching important parts of Google Map direction for offline use. In order to start, tap the Offline areas using the app menu. Maps often make suggestions, or you can also select Custom areas for specific sections of the map. You can also check how much room it takes up on the phone. Google recently introduced an interesting and useful feature for iOS and Android – you can now search for nearby places like gas stations and restaurants en route. As such, you can detour without reconfiguring the whole journey. So, if you are in the middle of navigation, just tap search icon and choose a category from the list. The map shows all suitable location near your route along with opening and closing times. Simply tap on the location, choose Add Stop, and add it to the route. 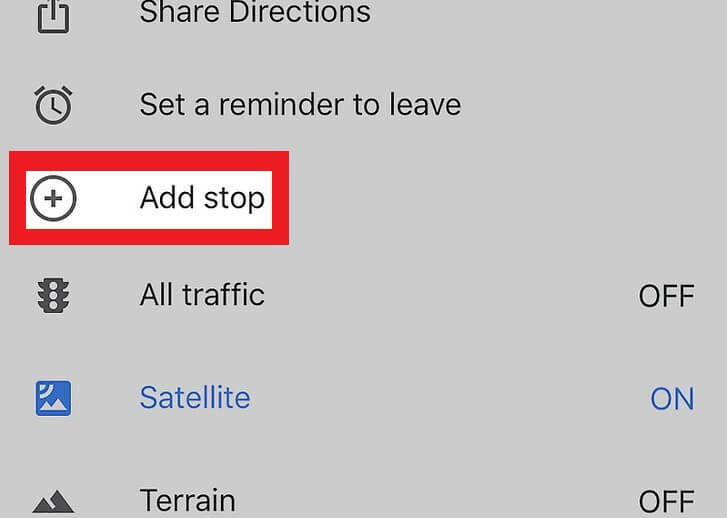 You can add up to 9 stop-offs on one single journey by simply tapping the menu button. In case if you are using Google Maps for direction on Android, you can now set up widgets for a quick shortcut and reach home. Choose the widget selector up, look for map entries, select one-marked directions. Once you place the widget, you are free to choose an address, your mode of transport, and set the route option. 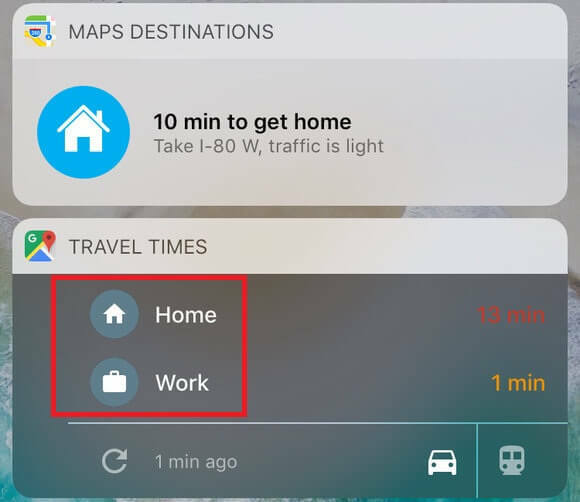 Now, make sure you set the destination for a home to get there quickly once you open the app. As a result, you get a one-stop solution to find your way home from any place, be it by public transport or car. Most of us would like to avoid high traffic zones. However, fluctuating traffic condition is very common, especially during busy hours of the day. So, before driving to your office, check Google Map direction so that you can take a route with lesser traffic fluctuations to reach on time. 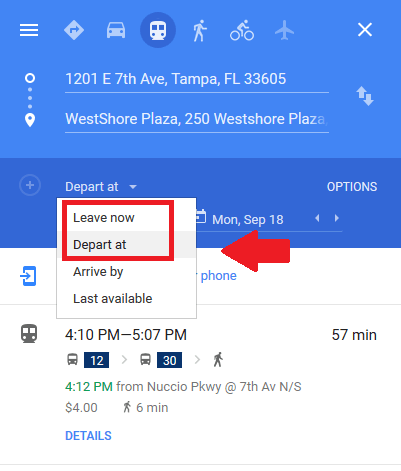 When you look up for direction online, click the button ‘Leave Now.’ Select ‘Depart’ and set the date and time. You can now get a realistic estimate of the journey time. Google Maps can give you a rough estimate of the time it might take to reach a certain destination. You can also use Google maps Route planner, a Third party tool, which you can use for easy navigation in Google maps. 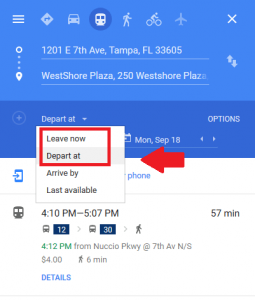 However, note that Google map direction cannot predict the future – as such, it cannot predict an unexpected rush or accident along with your route of travel. Yet, it still provides a fair idea of the distance and time it might take to reach a certain destination.